After over six and a half years in the UK, I can now call myself British after sitting the ceremony this Wednesday past. I sent my application in last year and waited to hear back from the Home Office and only recently received the letter asking me to book a citizenship ceremony as soon as possible. It was a very nervous three month wait hoping to hear back the result. Fortunately it was all approved. 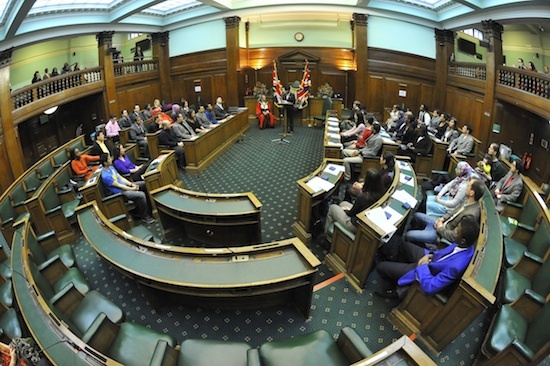 I took the ceremony at Camden Town Hall, the same place I had the Nationality Checking Service (NCS) appointment. Talking to a human instead of waiting on a queue, or talking to an automated machine is a much better experience, so they encouraged me to return. The ceremony started at 10am sharp. Approximately 50 or more people turned up for the ceremony, including their guests. 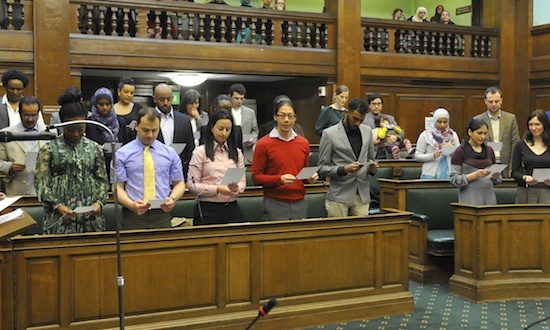 We were divided into two groups – those undertaking the final oath to become a citizenship, and guests who sat in the viewing areas around the council chambers. We all stood as the mayor, adorned in all of his finery and bling entered the room. 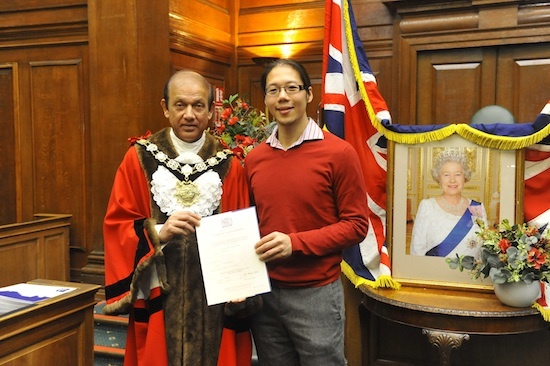 They talked about what the proceedings were going to be before the mayor opened up with a speech of his own, welcoming us in as British citizens. We were then asked to take one of two oaths to cement the role before being handed certificates, a token of appreciation from the borough, and a picture with the mayor and a picture of the Queen. Fortunately for me, Australia dropped its single citizenship rule only as recently as 2002 where I’m allowed to basically be guaranteed to win (and lose) The Ashes. It’s a bit of a relief to finally stop worrying about counting days in and out of the country, and I look forward to returning from trips overseas and entering without queueing for extremely large amounts of time at British Immigration.